Earlier this year, Bellator MMA signed a multi-million, multi-year deal with streaming service DAZN to air the promotion's fight cards. Always looking to make a big splash in the MMA market, Bellator decided to stack its first card on DAZN, and tomorrow night at SAP Center in San Jose, California the company will kick off its new deal with Bellator 206. Keep in mind that Bellator and DAZN are offering a free preview for this event. 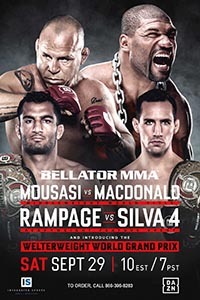 The most notable fight on the main card is the headlining fight between Bellator middleweight champion Gegard Mousasi and Bellator welterweight champion Rory MacDonald. This is a true superfight, featuring two of the most well-rounded and skilled fighters at the game, this time meeting at 185 pounds. Mousasi signed a big free agent contract with Bellator following five straight wins in the UFC, and hasn't disappointed in Bellator so far, winning the middleweight belt from Rafael Carvalho in his last outing. MacDonald, meanwhile, has picked up back-to-back wins over Paul Daley and Douglas Lima since coming over to Bellator. The fans wanted this fight and Bellator found a way to get it done; it truly has the potential to be one of the best fights of the year. 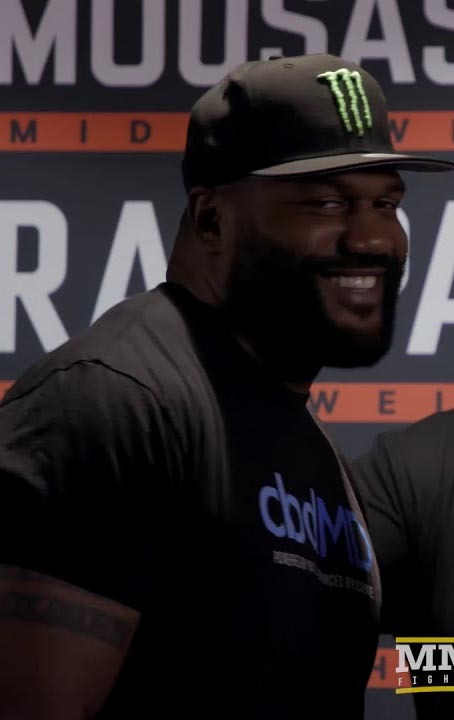 The co-main event isn't as intriguing as the main event, but it's still a notable fourth meeting between legends Quinton "Rampage" Jackson and Wanderlei Silva. The two former PRIDE and UFC stars are meeting for the first time in nearly a decade, as back at UFC 92, Jackson knocked Silva out in the Octagon to avenge Silva's two previous finishes over Jackson in the PRIDE ring. Both guys are coming off of losses to Chael Sonnen and are looking long in the tooth, but both guys are still huge names in the sport, and it was smart of Bellator to add this fight to the card to generate some extra interest. 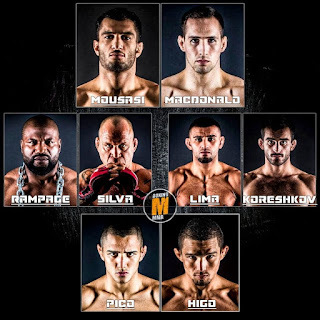 Perhaps the most intriguing matchup of all is the kickoff to the Bellator welterweight grand prix featuring former champs Douglas Lima and Andrey Koreshkov. 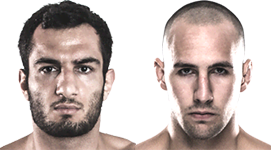 These two will meet for five rounds in the quarterfinals and it's the third meeting between the pair, with Lima having knocked out Koreshkov the last time after Koreshkov won a decision the first time. These two are such well-matched fighters, and both of their previous fights ended unexpectedly. With so much on the line and with both men looking to get the belt back, fans should expect an amazing fight between these two. 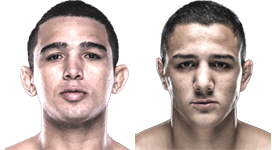 Also on the card, phenom Aaron Pico puts his three-fight win streak on the line in a featherweight fight against Leandro Higo, the former bantamweight title challenger who is moving up a weight class. After losing his MMA debut in devastating and shocking fashion, Pico has since won three fights in a row by knockout and looks to be climbing the ladder towards the Bellator featherweight title. Higo is a step up for Pico, but it's still a winnable fight for him, and if he puts on another brilliant performance Bellator may decide to fast-track Pico up the ladder. And in addition to Pico vs. Higo, Keri Melendez vs. Dakota Zimmerman and Gaston Bolanos vs. Ysidro Gutierrez, round out a rare six-fight main card. 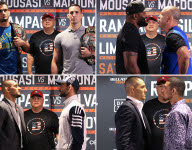 Although I think Bellator MMA is asking a lot of fans in requiring a DAZN subscription to catch all its fights, I have to give the promotion credit for putting together a stacked card for its kickoff event and with it being a preview, there's no excuse not to watch. The card has been flying under the radar in the shadow of UFC 229 next weekend, but Bellator 206 looks like one of the most stacked cards the promotion has ever put on, and it should be a must-watch event for MMA fans.